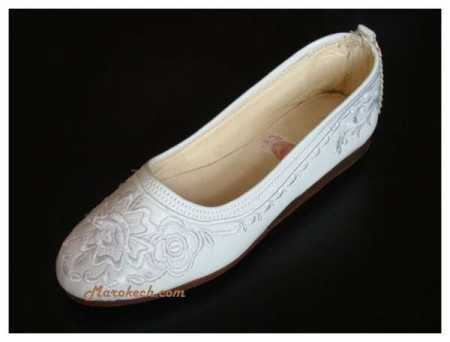 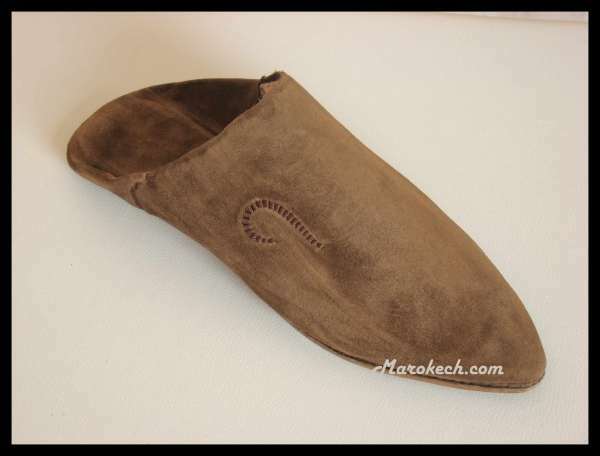 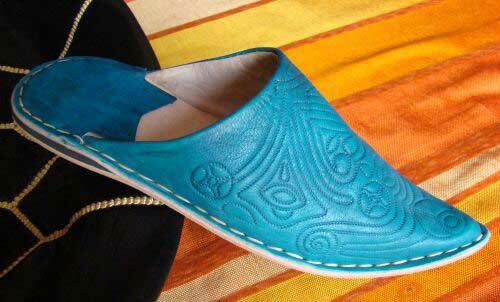 Superb Berber babouche of the region of Marrakesh. 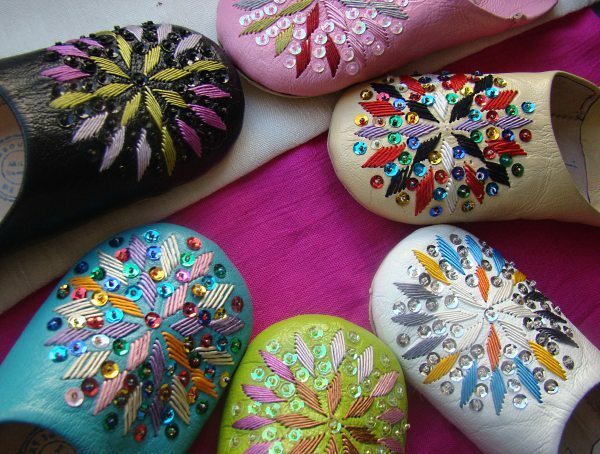 A modern adaptation of babouche sequins. 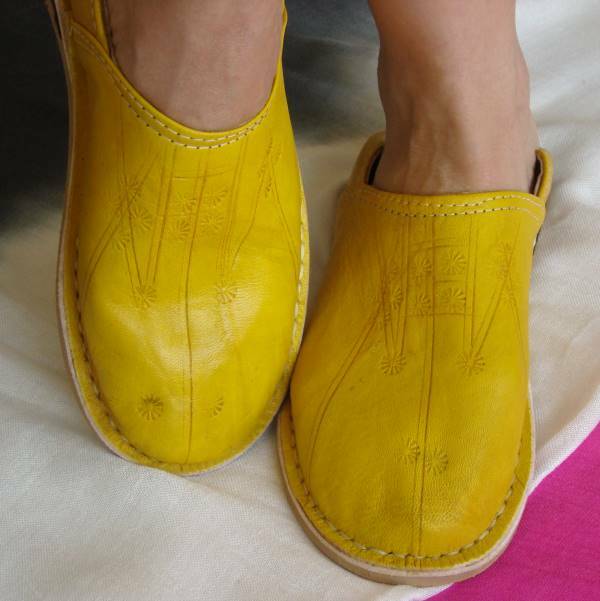 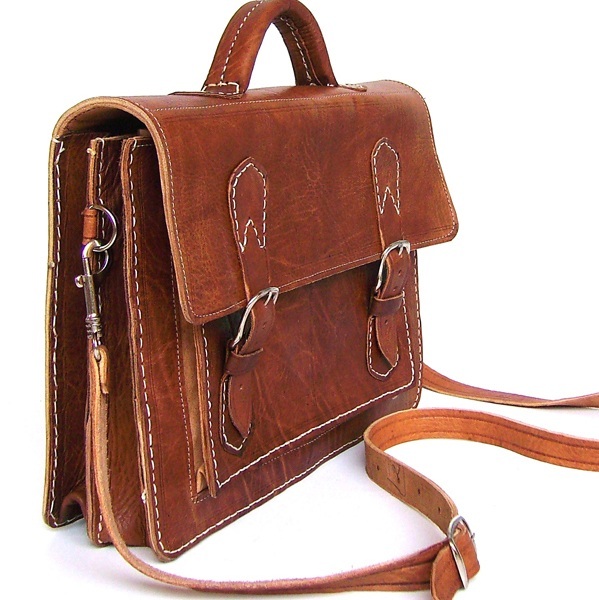 Authentic look and comfort. 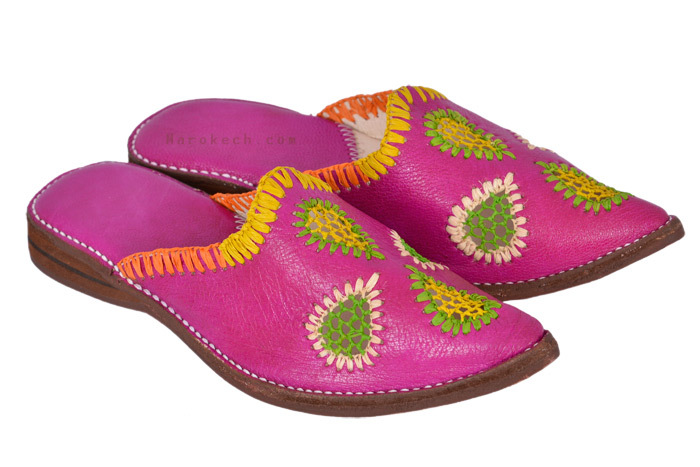 100% soft leather slippers with medical and comfortable rubber sole , embellished with sequins and beads which makes it a very feminine babouche. 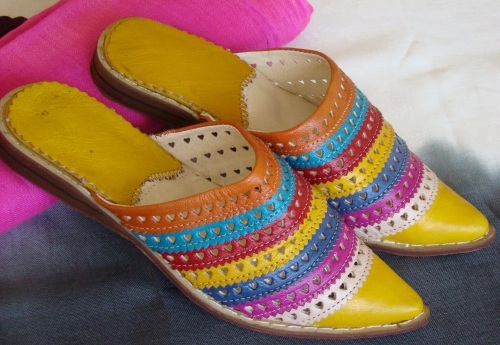 A famous slippers also by the wide range of colors available, even the most exotic. 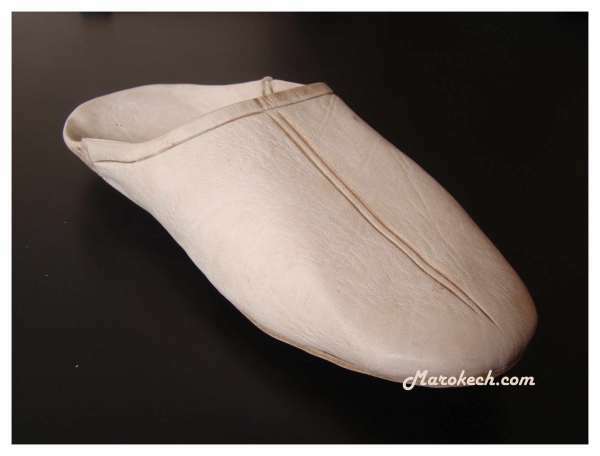 The round tip, and it's sabot form, make these slippers a very comfortable and for all use: interior, exterior ... A work combining lightness and well-being.